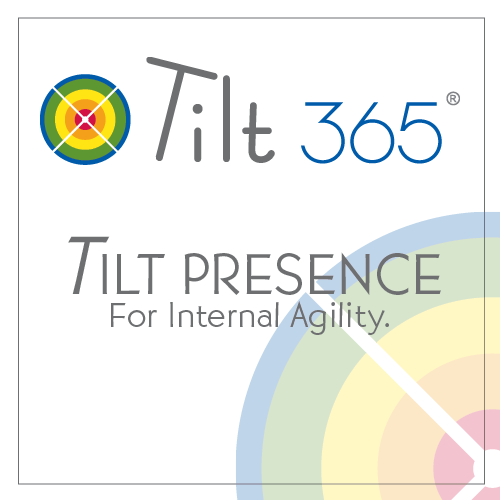 Tilt PRESENCE for Internal Agility: The purpose of our workshops is to deepen learning about agile methods that can increase the velocity of productivity, creativity and innovation for any team. Your Master Tilt Consultant will help you build a strong team climate where real talk, immediate feedback and courageous risk-taking are the new normal. Your coach will challenge assumptions and help your team learn how to avoid stress triggered conflict, releasing more energy for cross-functional productivity and efficiency.